can come from anywhere; therefore, their high standards are maintained no matter where the products are manufactured. Their personal standard is that they carefully select each toy as if they were giving it to their own children. Cash back is not available on orders placed by iPhone, iPad, Android system phones & Android system tablets. 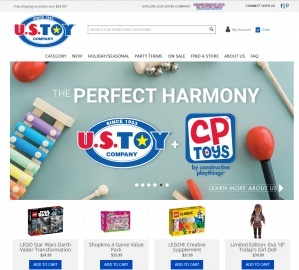 Click a Coupon or click Start Shopping to earn 4% Cash Back at U.S.Toy. Cannot be combined with any other offers. Exclusions may apply. Terms and conditions apply. Exclusions may apply. Terms and conditions apply.